Kai and Gerda have been friends all their lives. So when Kai is stolen away from their village by the dreaded Snow Queen, Gerda sets out to bring him back, despite the impossible odds. Across frozen lands where the Snow Queen and her dark companion Jack Frost are increasing their icy grip, brave Gerda makes her way north, encountering friends, foes and the fantastic. But nothing will stop her finding Kai. Nothing can break the bonds of true friendship. Written by Lucy-Ann Martin, adapted from the classic fairy tale by Hans Christian Andersen, this delightful and uplifting tale is a magical adventure for all ages. 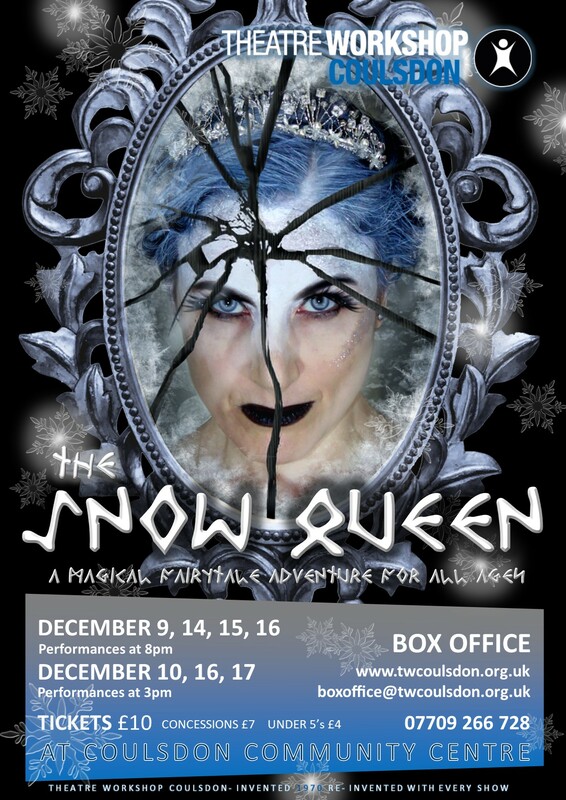 Fall under the spell of the Snow Queen this winter…. Performed at Coulsdon Community Centre, Barrie Close, Chipstead Valley Road, Coulsdon. with 3pm matinees on Sunday 10th, Saturday 16th and Sunday 17th December.